Have you ever posted a video blog? Are you looking for some quick tips on posting videos on your blog? Looking back, I don’t think I ever thought I would actually enjoy video blogging. I can be headstrong and I wanted to “try it out”. I wanted some evidence so that I could form an option, but I never thought I would enjoy it. I should have known better. As an 18-year-old college student, I was interviewed for a local television show. My college soccer team had gone from a team that barely won more games than they lost, to going to nationals. I responded, “No, I was never even supposed to be a starter”. Here’s the thing. The camera was on zoomed in on my face, my laugh wasn’t “cute”, and it was awkward. The truth is, I’m awkward on camera. I have tremendous respect for actors now. Before you say “it wasn’t that bad”, I’m sure you’re right. However, it felt that bad. The story about how a tall, awkward skinny girl got to go to nationals with her college soccer team is a great story, and one that I’ll tell at another time. So, I tried video blogging. Some vlogs were received very well and some weren’t. We received criticism as well as praise. Personally connecting with your readers. Watching your video will help your readers to feel like they know you. YouTube is a really great avenue to reach people, it’s another social media site. Here’s the thing–you can’t reach those YouTube watchers without a video blog. Sometimes it’s just easier to watch a video than to read a blog. 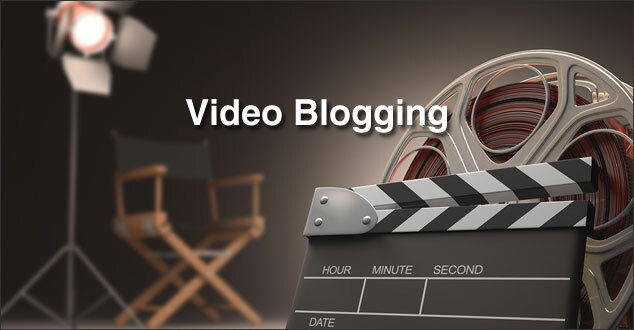 Offering a video blog does set you apart from the crowd. The blogging world is very competitive and videos can offer that little edge. I found vlogging to be very time consuming. I’m not sure if it’s because I would spend the normal amount of time typing up written content to go with it or because I’m personally so awkward that I would also have a lot of takes but it is very time consuming. Something would go wrong while taping. One time there was background noise on a really long video. I had to majorly edit and that, of course, took more time. Invest into lighting equipment. One of our criticisms that we received about our vlogs was that there was poor lighting. It was absolutely true. I didn’t have the right equipment. If I was going to do another series involving video blogs, I would invest into some proper lighting. My goal with video blogging was to see if it could be done easily, so I didn’t invest into any equipment. If I do another video blogging series, I’ll invest into better equipment. Shorter videos are easier to record. I really like using YouTube to upload the videos. They make it seamless and really easy. For additional help on this, check out our article, 4 Reasons to Use YouTube to Embed Videos and How to Do It. You don’t have to video yourself like I did. I only really examined one aspect of video blogging, but there is so much out there. Is video blogging truly worth it? I think that’s a personal decision. It’s up to you and what you want to accomplish with your blog. Videos have a lot to offer, but they also take a lot of work. For me, I think if I do it again I will invest into better equipment and do some yoga before I record myself. How about you? Do you think video blogging is worth it? Please let me know in the comment section below. Ahhhh, the dreaded video blog or Vblog. I can totally relate to your experience Christine, I also have a great deal of respect for actors now! Last year I did an online challenge which was meant to help me feel more confident in front of the camera and while it was a fun ride, I never did overcome my base “stage fright”. I also spent a ridiculous amount of time creating the videos which did not help me see the value for doing them at all. Although I actually do have the right video equipment, including lights, I found I just couldn’t get my personality to come through. So, have I given up? Nooooo, but I am changing the type of videos I will be creating. You actually don’t need to put your head in front of a camera to provide helpful and easy to digest video blog content to your audience. I am experimenting with screen capture software so I can take viewers through things visually with a voice over to explain things. Looking forward to seeing your future endeavors in the Vblog journey. You’ll have to let me know which screen capture software you use and your experience. Thanks for stopping by! I experimented with videos in March last year and realized that while I was confident about being onscreen, there were a number of other factors that I needed to take into account, lighting and background noise being 2 important ones.There is a lot of prep work that has to take place which is more time consuming than writing, which is an activity I enjoy. Those videos were well received and I think viewers like to see the effort and focus on information instead of pure perfection all the time. I love creating how to video tutorials and there is so much that one can do in a short vblog especially if one is running an online course. To video blogging success in 2015! Thank you for sharing your experience with video blogging Christine. I did enjoy seeing you and you didn’t seem awkward at all! Anything you do requires to be consistent with so that it eventually feels natural and you start getting results. I don’t think you did it for long enough to measure what it could have been… But for consistency, you need to feel comfortable and enjoy what you’re doing. Like you say, it’s a personal choice. I still think video blogging is a great way to connect with readers, even if I personally do not love doing it.